On Aug. 11, more than 1,000 Taliban fighters stormed Ghazni, a city of some 270,000 Afghans less than 100 miles from Kabul, quickly overrunning its defenders. Over the next five days, Taliban forces sacked government buildings, seized the central prison, and looted and burned police stations. Driving the Taliban out required more than three dozen airstrikes as well as house-to-house fighting that left an estimated 250 civilians dead, hundreds of Afghan soldiers and police casualties, and large areas of downtown Ghazni destroyed. 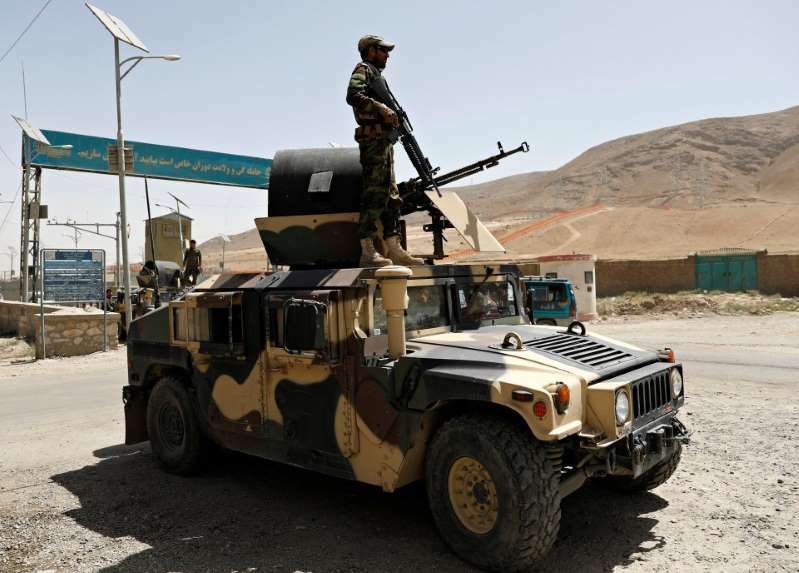 Humanitarian operations have been halting; the Taliban mined many of the central approaches, including the key Highway 1 linking Kabul to Ghazni, and clearing operations still continue. Given Ghazni’s strategic importance, along with the Afghan government’s fumbling response, it is perhaps unsurprising that its brief capture sparked renewed debate over the wisdom of U.S. strategy in Afghanistan. Indeed, Ghazni is a microcosm of the challenging stalemate that now characterizes the war in Afghanistan. Five trends stand out. [post_ads](1) Talking and fighting are complements, not substitutes, for the Taliban. At first glance, the Ghazni assault seems out of step with recent progress toward a negotiated settlement to the war. To much fanfare, the Taliban honored the three-day Eid cease-fire in June, its fighters mixing in the streets with Afghan soldiers and locals. And after months of secret shuttle diplomacy, the United States and the Taliban held their first high-level talks in nearly seven years only three weeks before Ghazni was attacked. The Taliban, however, views fighting as integral to negotiating. What matters for the Taliban is not holding cities such as Ghazni — at least, not yet — but instead being able to impose costs on the Afghan government. Temporarily holding Ghazni or overrunning isolated military outposts demonstrates the Taliban’s resilience and the Afghan government’s inability to protect its citizens. Moreover, the Taliban is also “violently negotiating” with Islamic State-Khorosan (IS-K). Recent clashes between the two have led to hundreds of casualties. The Taliban does not want concessions to IS-K in any postwar agreement. Thus, the attack on Ghazni sent a message to the Islamic State that the Taliban is strong, and that message of strength may help deter frustrated Taliban fighters from defecting to the more radical Islamic State, a trend that has increased over the past 18 months. In turn, IS-K’s horrific suicide bombing of a vocational school in Kabul, timed almost exactly with the Taliban withdrawal from Ghazni, is no mere coincidence. Instead, it represents a calculated effort to wrest attention away from Taliban advances and to highlight IS-K’s relevance. The shadow war between these two sides will continue. Indeed, it is likely to intensify, even as negotiations with the United States continue. (2) Afghan forces are nowhere near ready to stand on their own. Although they are the crown jewel of American reconstruction spending, the Afghan National Defense and Security Forces (ANDSF) remain a work in progress. ANDSF commando forces are well-regarded but not invincible. During the Ghazni operation, a Taliban ambush nearby crushed an elite commando unit, killing at least 40 soldiers and perhaps as many as 100. Survivors were carried to safety on donkeys by villagers who found them lost in the mountains. Meanwhile, regular Afghan forces, crafted almost completely in the image of the U.S. Army, are ironically ill-suited for counterinsurgency operations. They are beset by high desertion rates, low morale and rampant corruption. The Afghan National Police force shares these problems and also has a penchant for cutting side deals with the Taliban, as it did in Ghazni, with some members abandoning their posts without a fight. The Taliban, by contrast, is surging. Aided by Pakistan, and perhaps Russia, the Taliban appears better-equipped and more tactically savvy than ever before. Even though senior Taliban commanders for Ghazni were killed by airstrike only three weeks before the offensive, the attack continued anyway. The Taliban can also hit multiple locations simultaneously to stretch Afghan forces thin. During the Ghazni assault, Taliban forces also struck in Faryab, Baghlan and Uruzgan provinces. (3) The Afghan government has a major credibility problem. Crises such as the Ghazni attack call into question Kabul’s competence and responsiveness. The Afghan government dismissed warning signs of the offensive. Once the offensive started, Afghan officials routinely dismissed the severity of the threat while hyping the swiftness of their response. Similarly, Resolute Support, the American mission in Afghanistan, continued to dismiss Taliban claims even as the Taliban broadcast its soldiers in downtown Ghazni on social media. We’ve seen this movie before. Prior Taliban captures of Kunduz city and Farah followed the same pattern. There is precious little time before the Afghan government’s credibility is completely eroded in the face of these high-profile failures. (4) The Taliban can’t capture cities, but that may not matter. The Trump administration’s new strategy of violence management seeks to protect Afghan urban areas at the expense of the more thinly populated countryside. This defensive crouch, however, cedes initiative to the Taliban while also offering up political gains by allowing large swaths of previously defended territory to fall under Taliban sway. Moreover, Taliban governance typically precedes the capture of territory. The Taliban had been slowly squeezing Ghazni city for at least 18 months before the attack, isolating its economy and garrisons. Even if the Taliban cannot capture and hold cities, the United States may find itself defending shrinking urban islands as Taliban floodwaters rise around them. (5) Air power is not a silver bullet. The linchpin of U.S. strategy is airstrikes on the Taliban. But Ghazni reveals this strategy’s limits, too. Air power did not deter the Taliban from massing for the assault or overrunning outposts. As the fight becomes increasingly urban, civilian casualties from airstrikes will rise, a trend already evident in Afghanistan. At least 16 civilians were killed by an errant airstrike while Taliban gains in Ghazni were being rolled back. Air power can buy time and space for negotiations, but at the cost of civilian casualties that may feed new waves of anger and violence. We are unlikely, then, to see any substantial reductions in violence in the near term as negotiations with the Taliban continue. While temporary cease-fires may be honored, the Taliban will continue to seek tactical, often temporary, battlefield victories, until convinced that its political demands will be met. Talking and fighting might lead eventually to a negotiated settlement, but the path to that settlement is likely to be long and bloody. (@jaylyall_red5) is Associate Professor of Political Science and Director of the Political Violence FieldLab at Yale University.